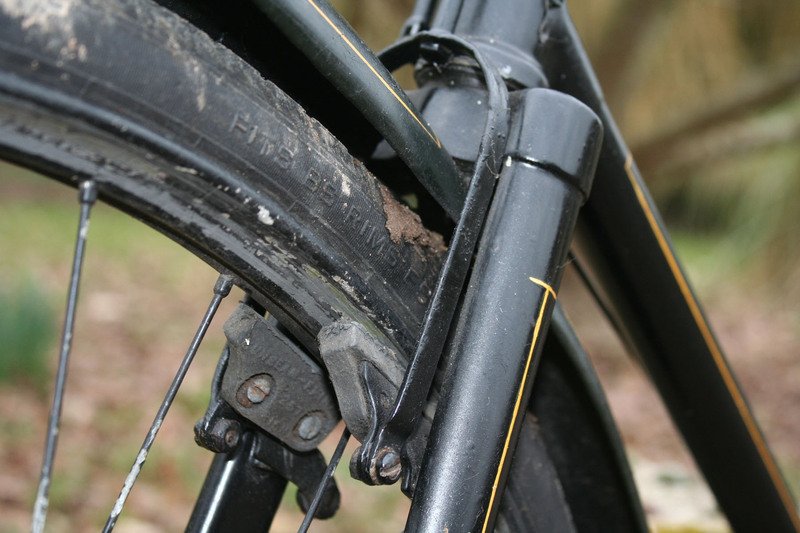 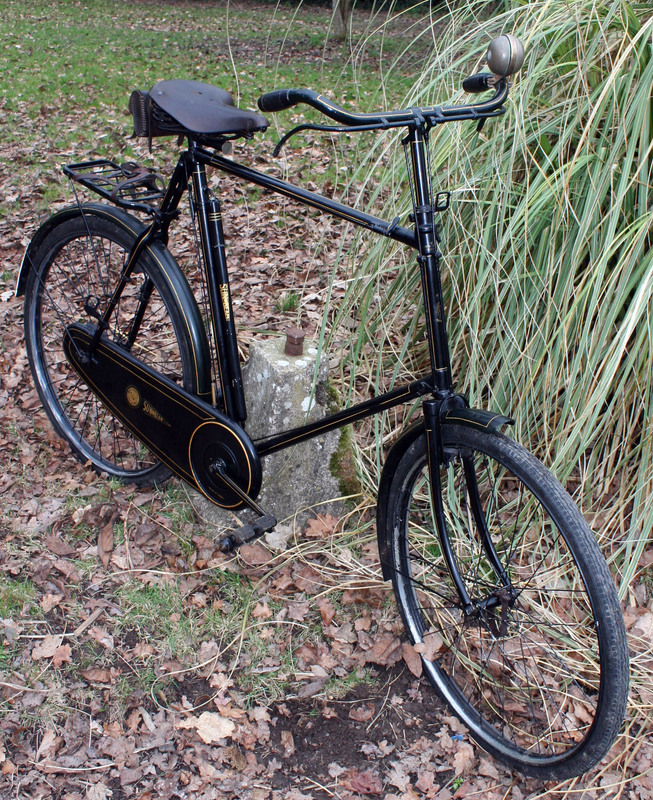 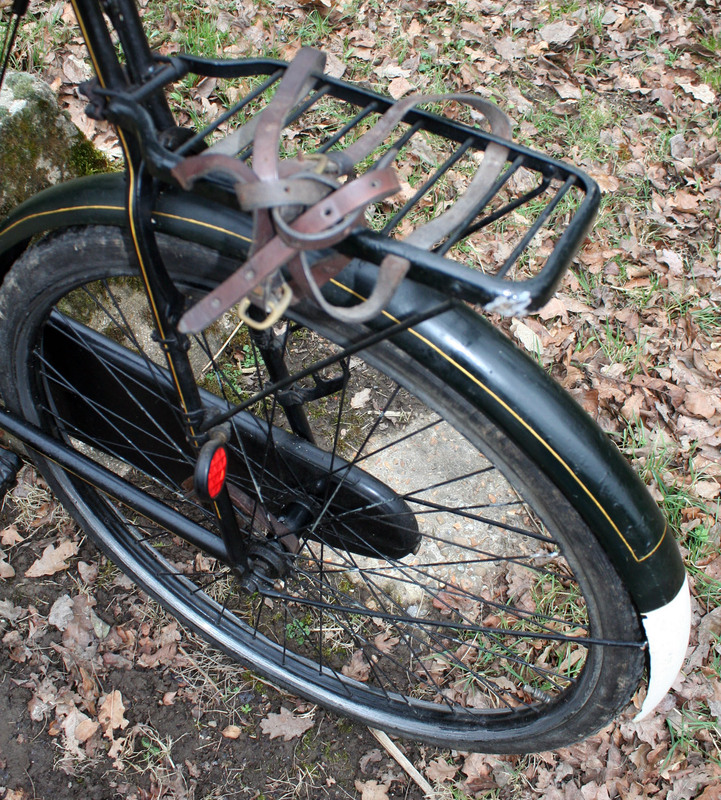 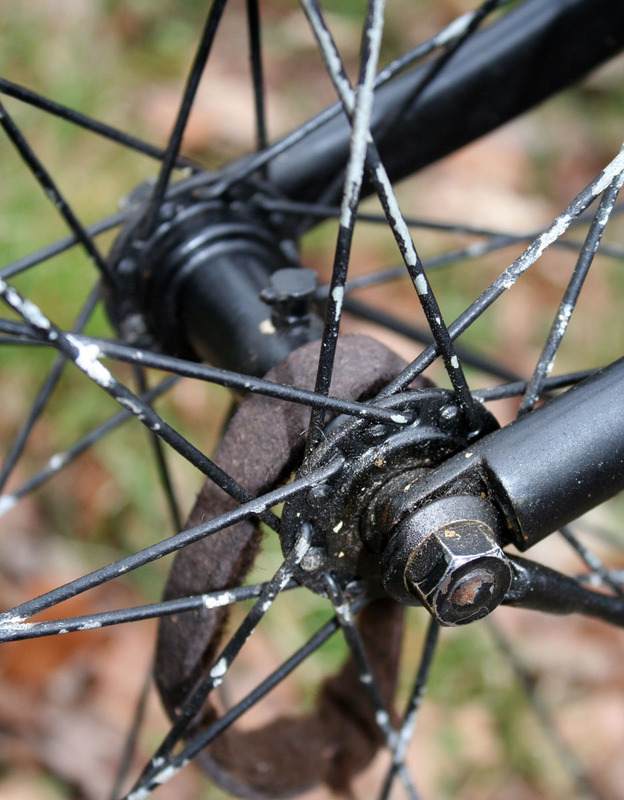 This bicycle is built specially low, the crank bracket being 11 inches from the ground which, with the 26 inch wheels, allows the rider to sit astride with both feet on the ground. 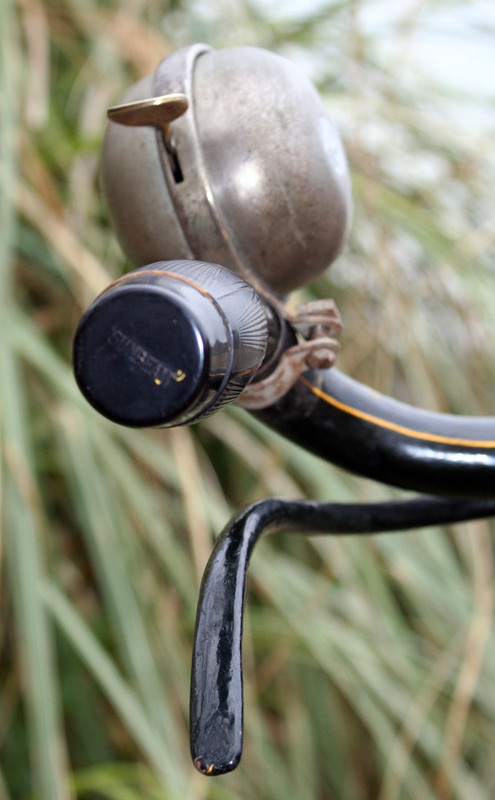 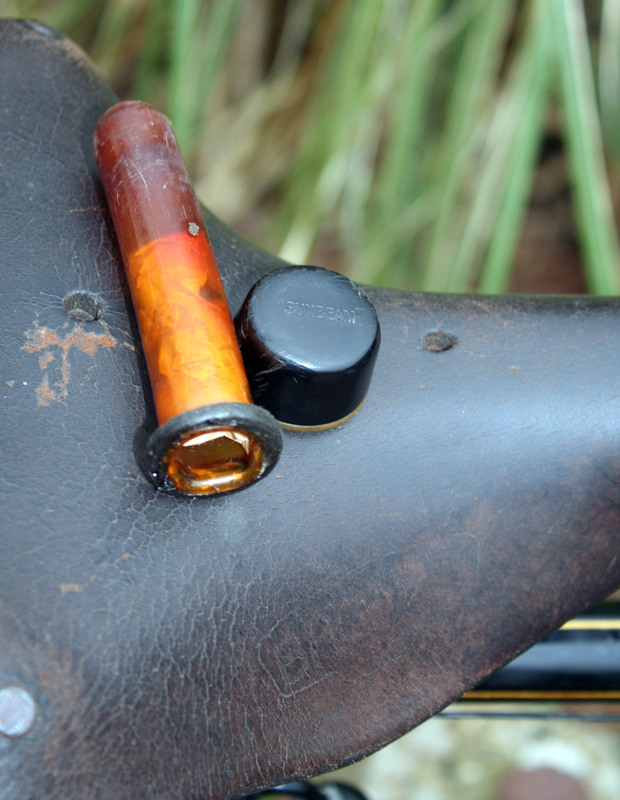 It is a very safe mount, especially for those who are no longer youthful, and will enable riders who are at all nervous to cycle with confidence. 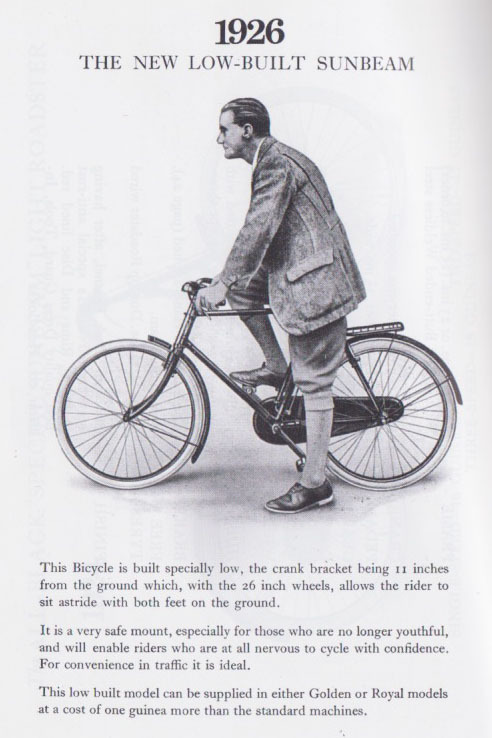 For convenience in traffic it is ideal. 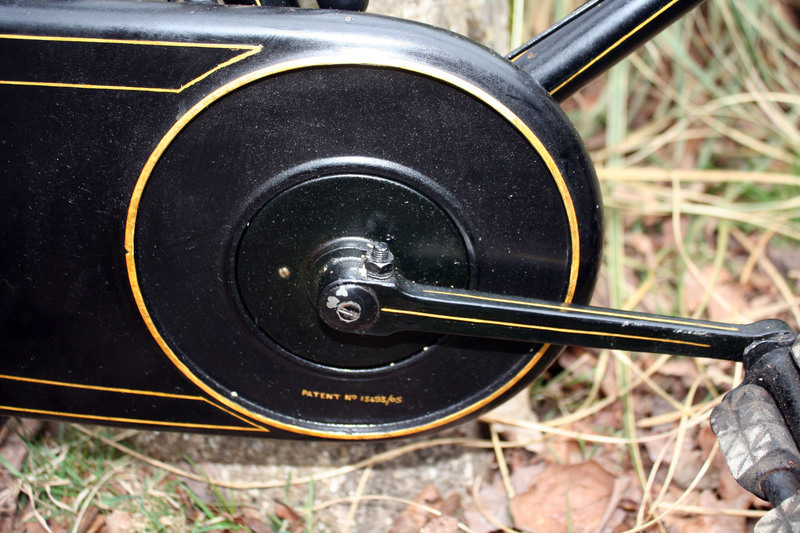 The low built model can be supplied in either Golden or Royal models at a cost of one guinea more than the standard machine. 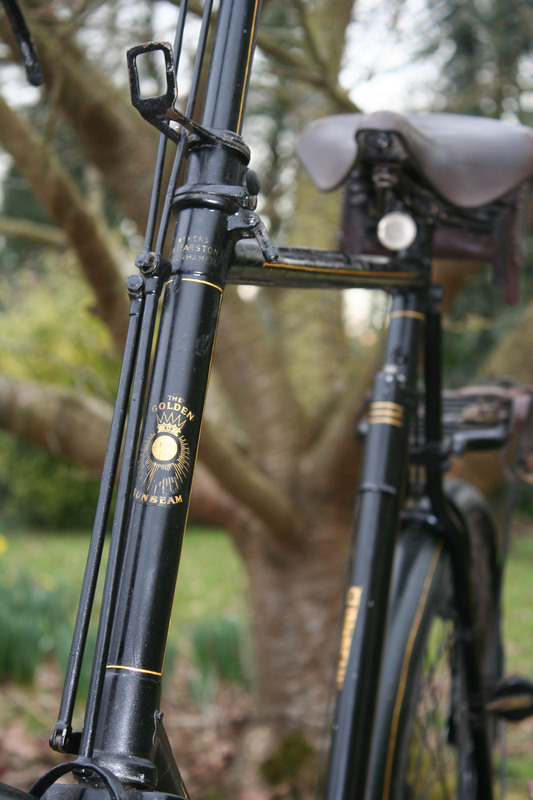 In 1926 the price of Golden Sunbeams dropped from £21 (the 1924 price) to 19 guineas £19 19/-. 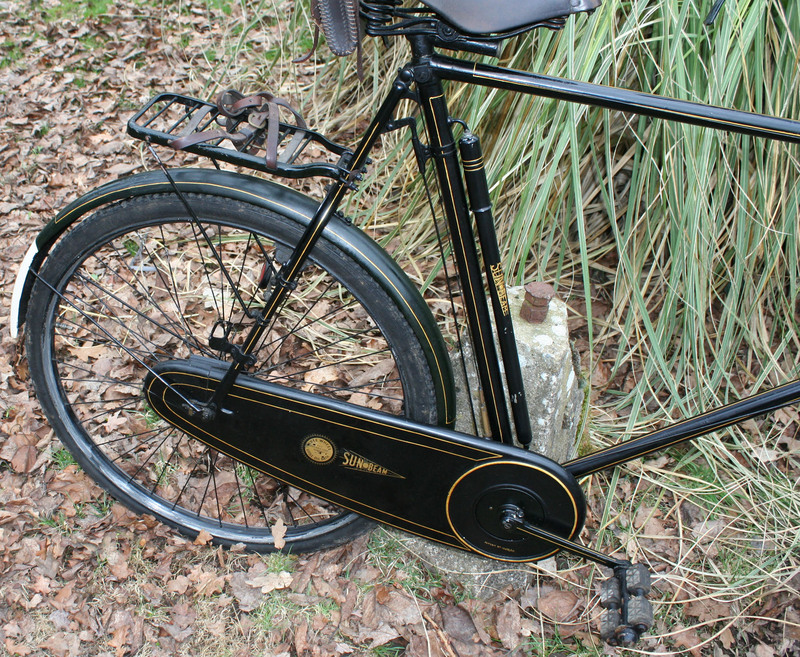 But, for an extra guinea, a customer could specify what was listed as ‘The New Low-Built Sunbeam.’ This had 26″ wheels and an 11″ bracket. 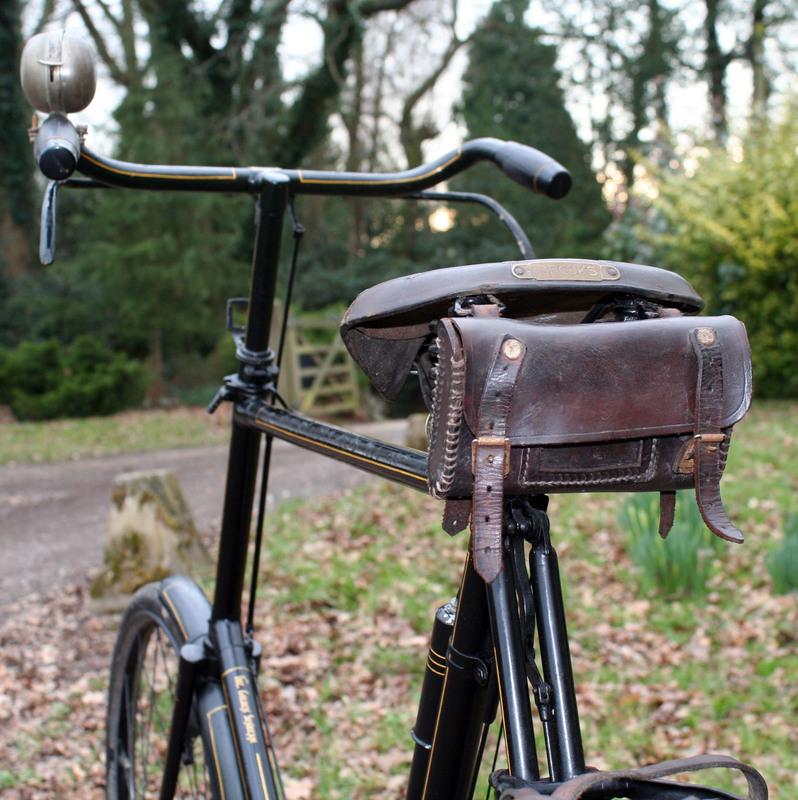 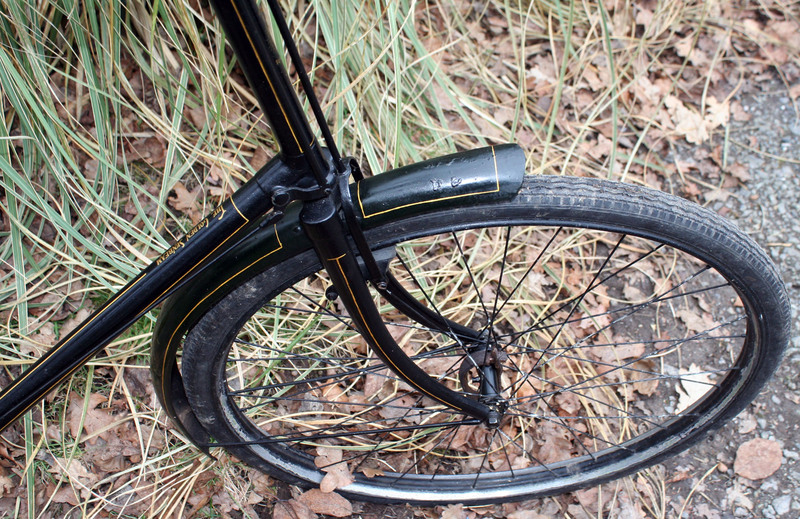 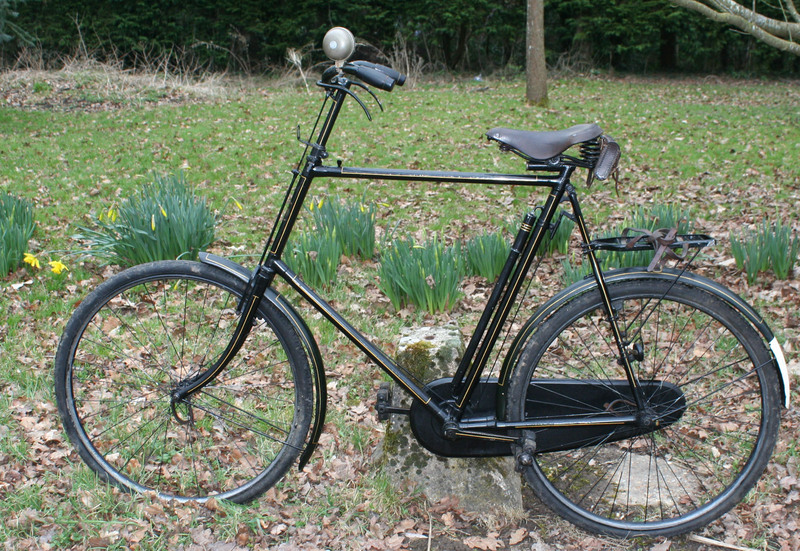 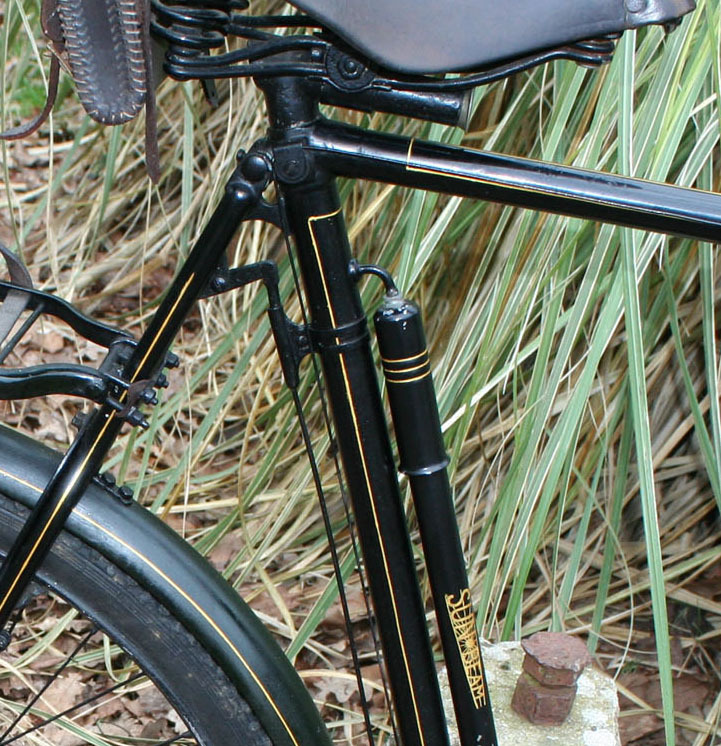 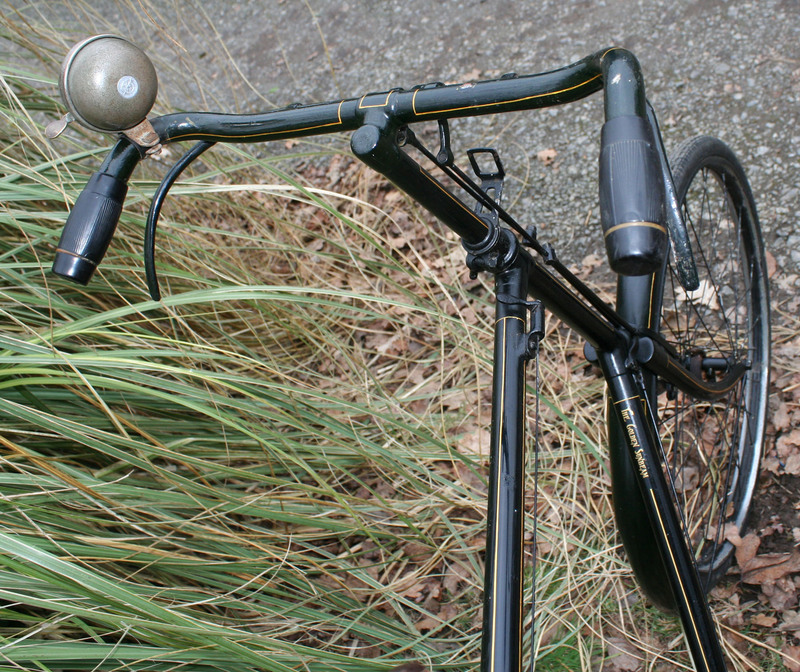 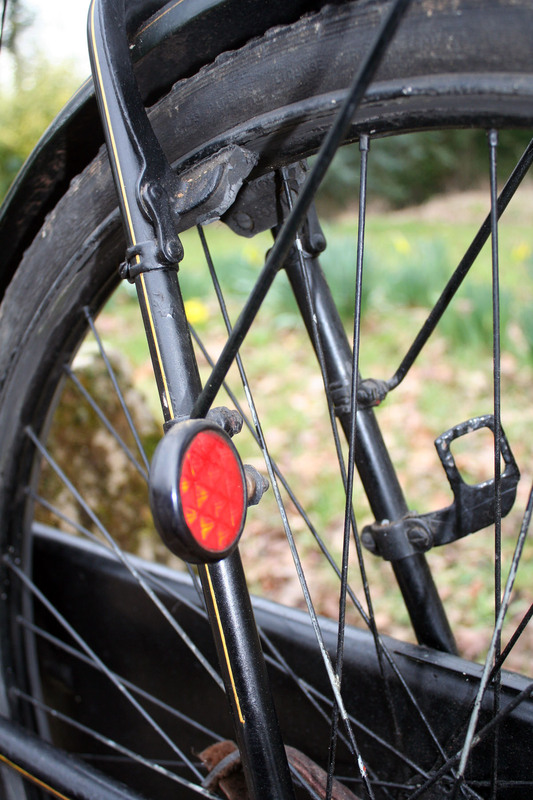 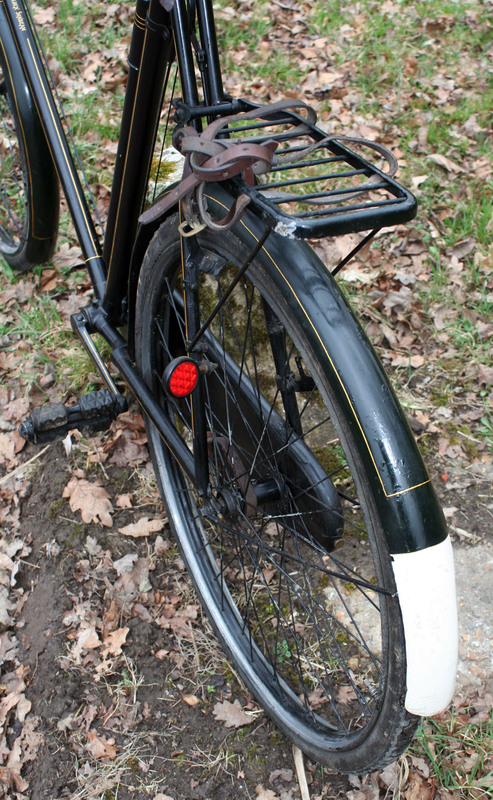 It is not what would be called low-built today, indeed it was not what many riders called low-built in 1926; but it did show that Sunbeams were realising that they needed to pay some attention to what was happening in the world of everyday cycling. 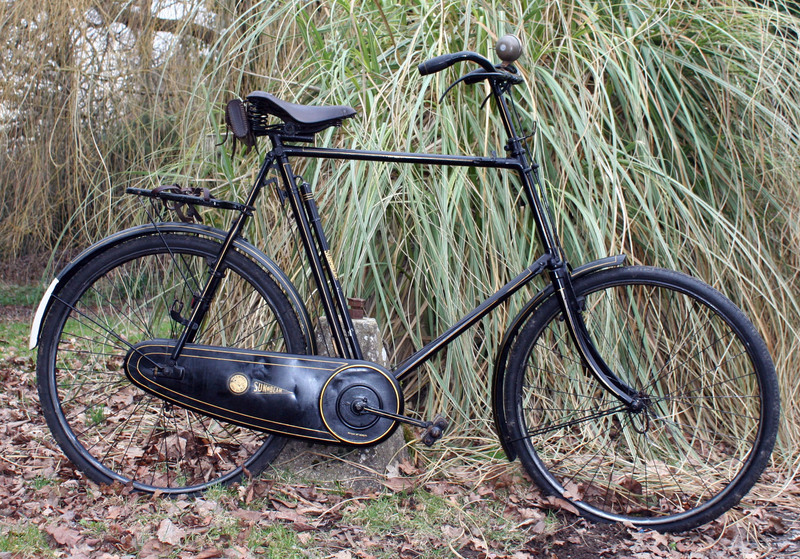 Despite the fanfare announcing this special option, which could be supplied as either a Royal or a Golden Sunbeam, not many of the machines were built, and few are in existence today. 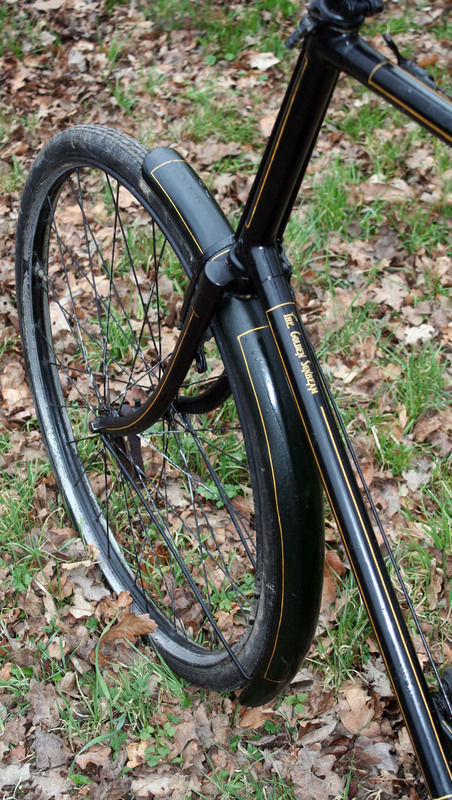 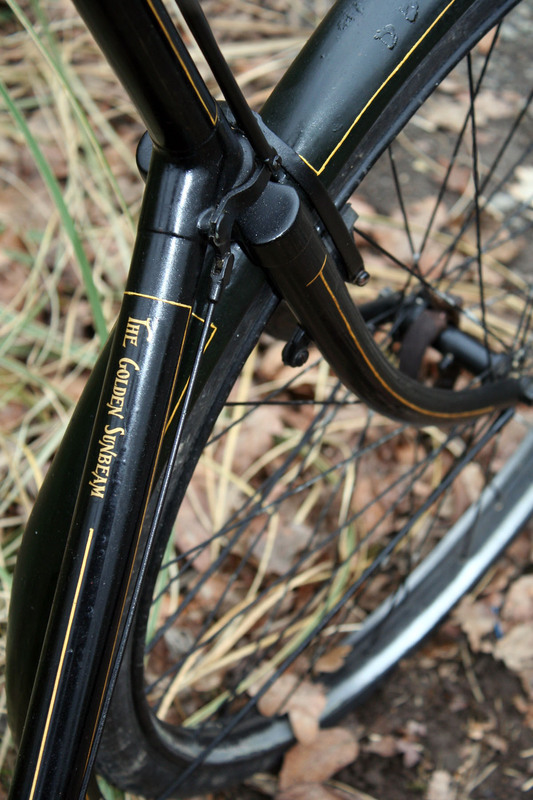 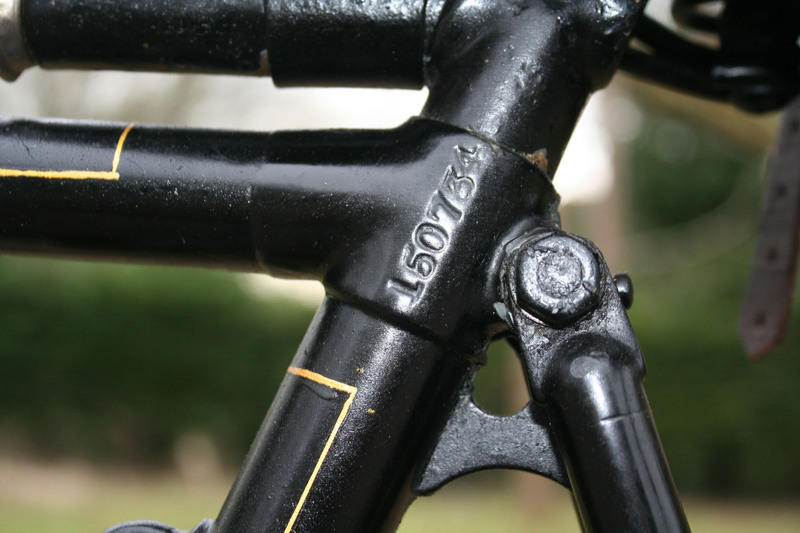 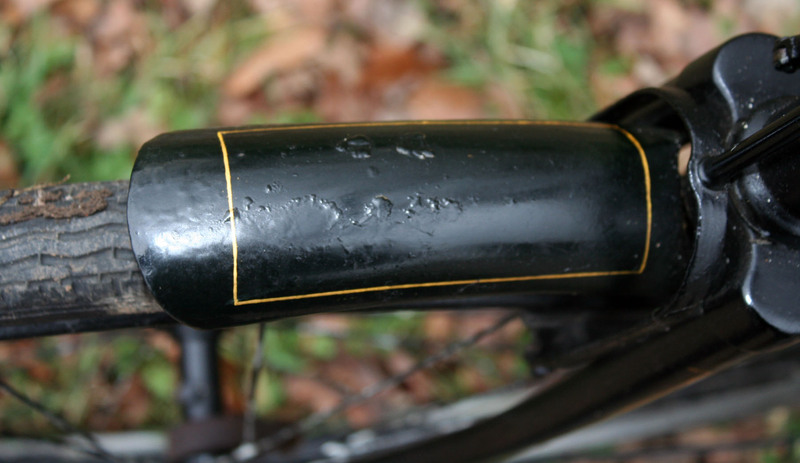 This particular example is even rarer, having a 26″ frame. 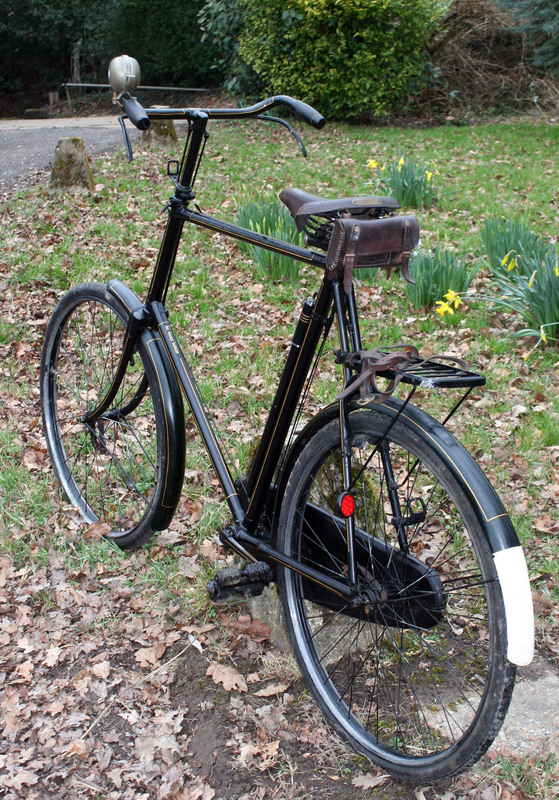 The large frame combined with the ‘low-built’ specification of 26″ wheels give this machine a unique appearance which is nothing like any other Sunbeam I have seen. 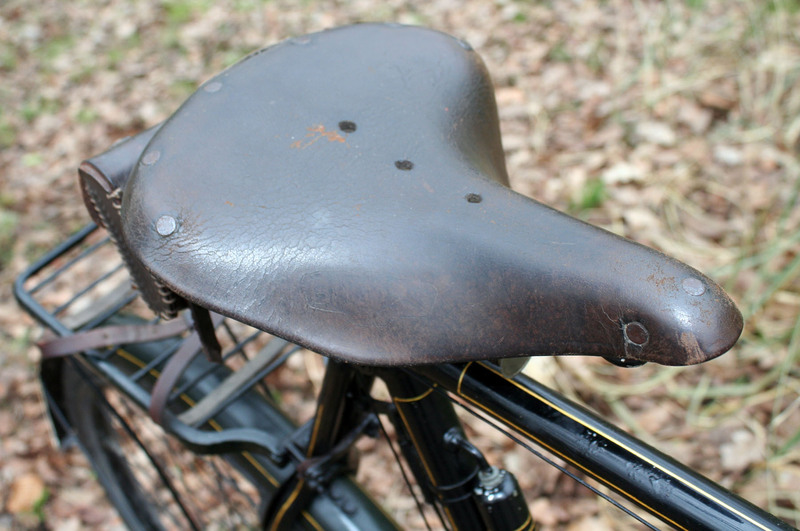 It was restored 25 years ago by the previous owner, and has been kept in dry storage since, so is still in very good condition. 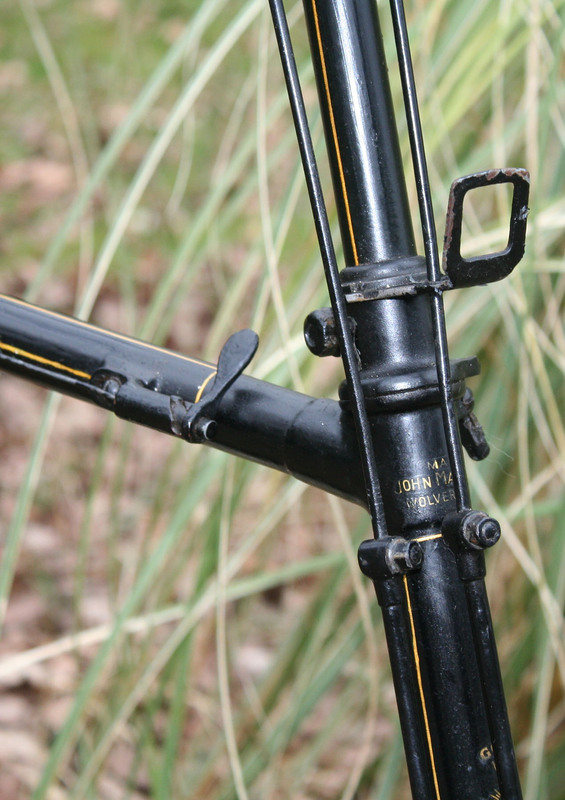 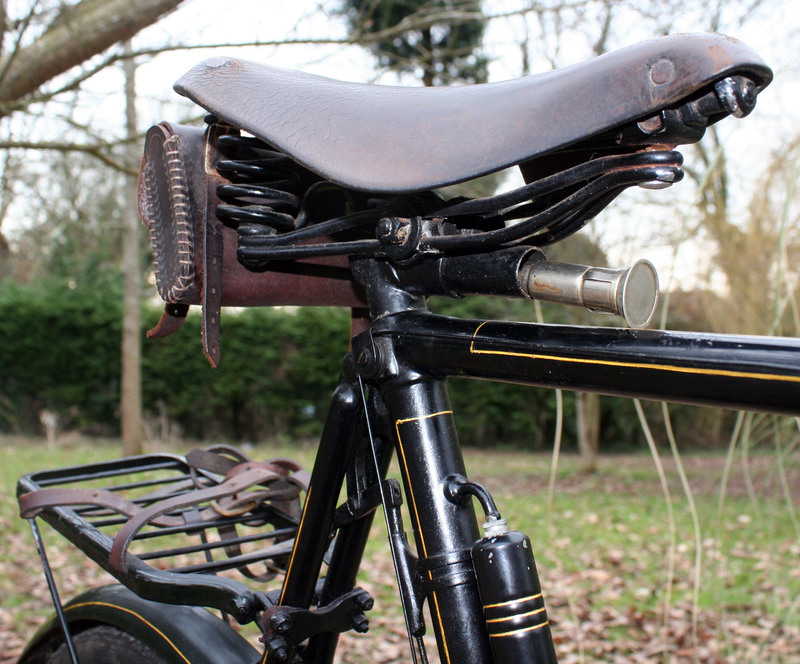 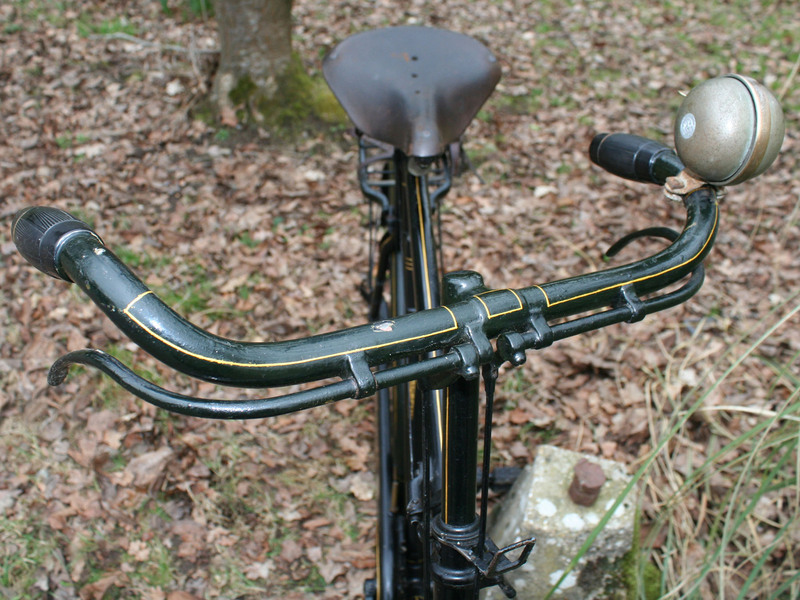 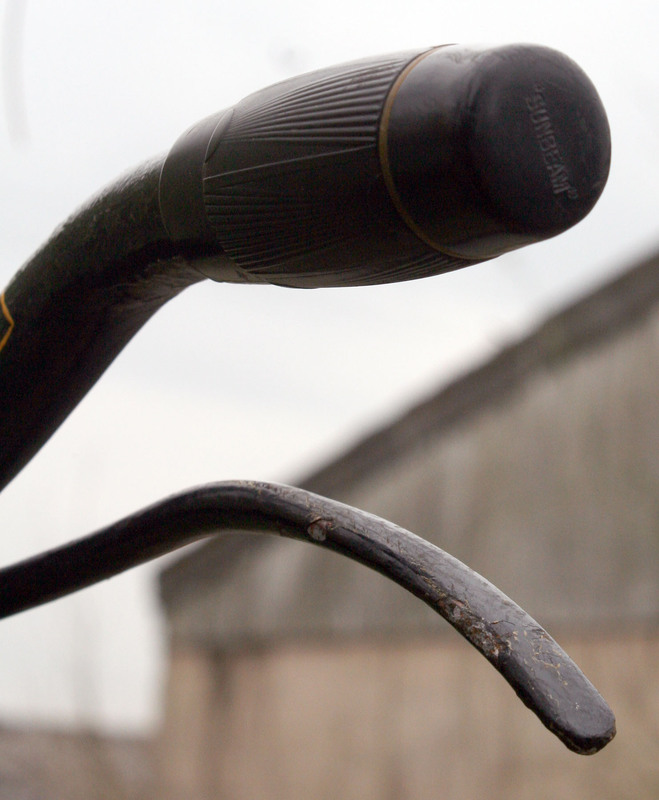 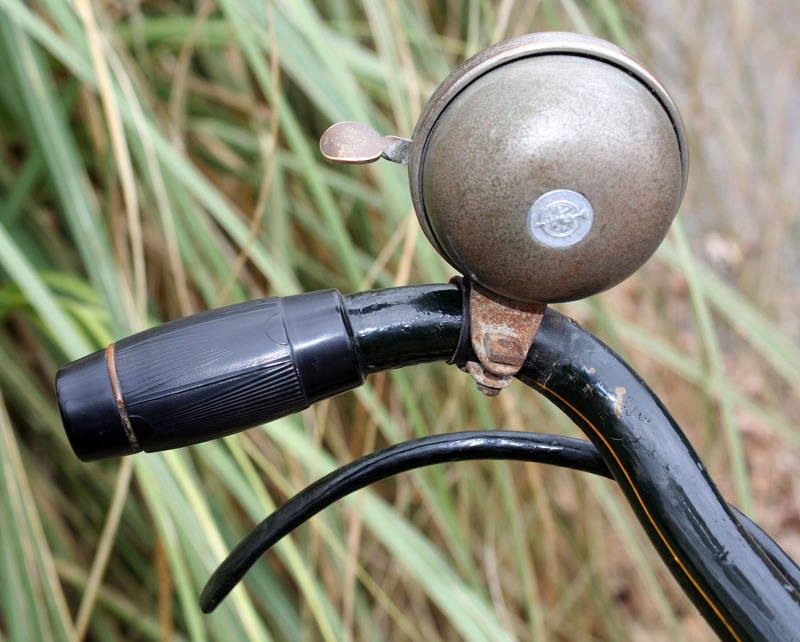 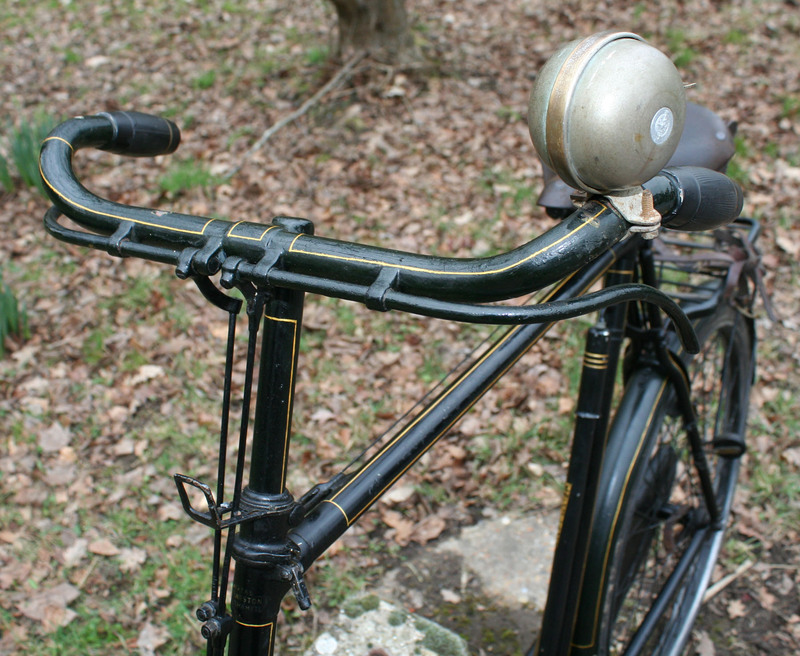 Of course, it retains the Golden Sunbeam special features such as the oiler inside the seat bracket and repair outfits behind the handlebars grips.